I suppose when your magazine is called Respect, it shouldn’t be surprising to see props given where they’re due. This was definitely the case in Respect’s article covering the recent Slumerican tour stop in Brooklyn which featured the likes of Yelawolf and Strange Music’s own Rittz. The piece begins by describing the ease with which Yelawolf has circumnavigated the plight of the white rapper by remaining genuine and giving an appropriate amount of praise to his influences & predecessors. All-in-all, this was another on-point piece from the good folks over at Respect, and it’s always nice to see such a hard working Strange Music artist getting some shine. 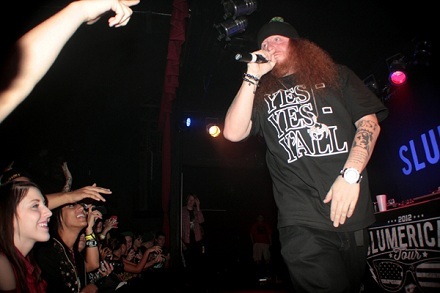 Have you seen Rittz live yet? Which Strange Music artist would you like to see Rittz tour with next?